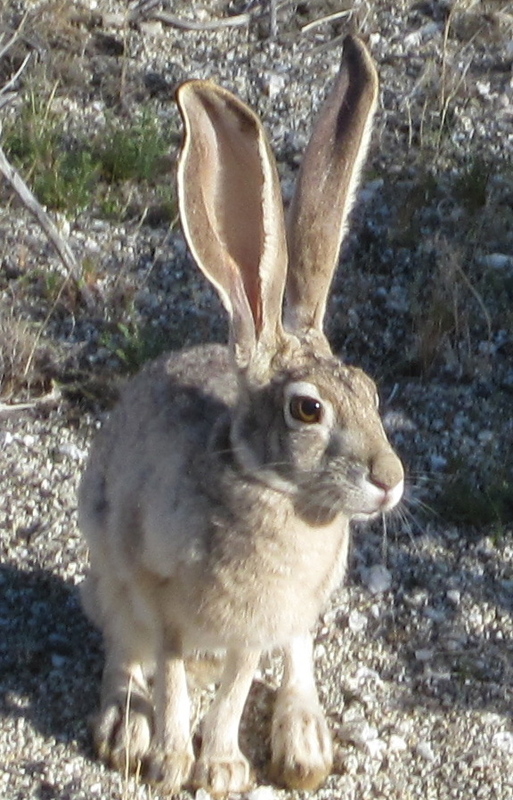 Blacktailed Jackrabbit off the Palm Canyon Trail. Type of trail: Out and back. Composition: sand, decomposed granite, scree. Approximate elevation gain: 600 ft. The Anza-Borrego Desert State Park spreads out across three counties and is the largest state park in California. In fact, the second largest in the U.S. after Adirondack Park in New York. It was actually named after a Spanish explorer Juan Batista de Anza and Borrego meaning “bighorn sheep”. 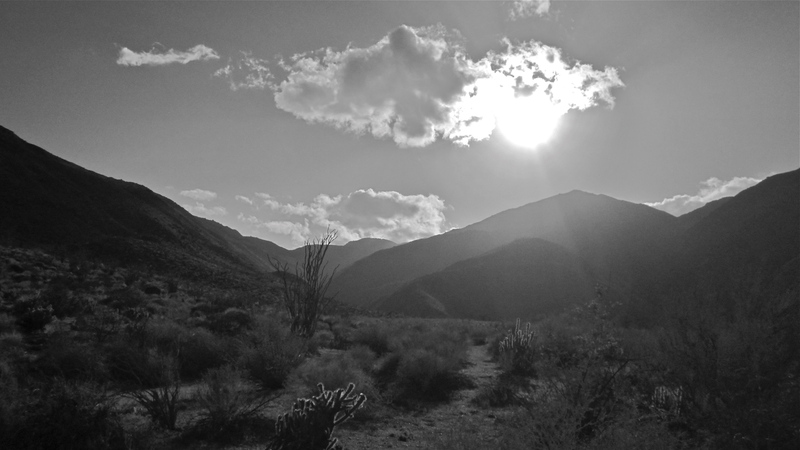 [¹] Like much of the golden state, the Anza-Borrego is a contrast in landscape and an opportunity for solitude. 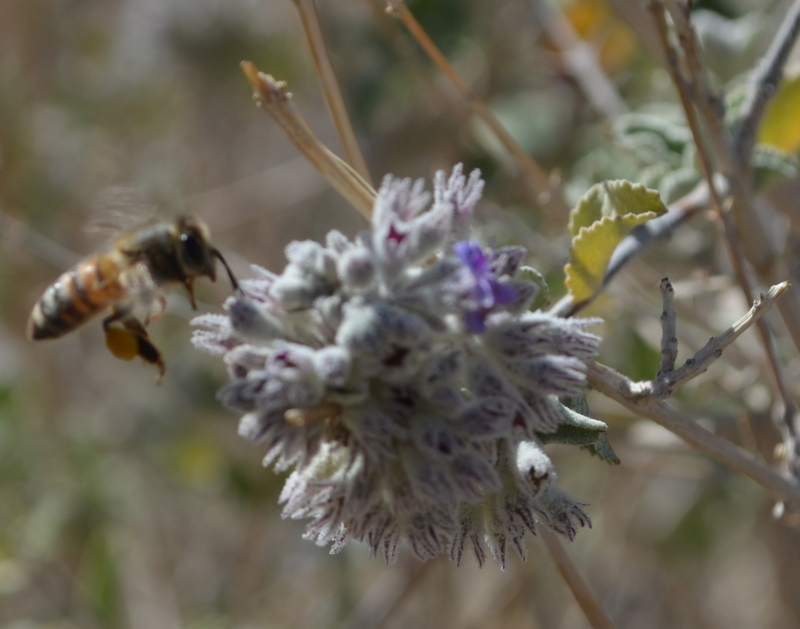 Part of the vast Colorado Desert, it is home to so much flora with animal life that is often hidden to the casual observer. My favorite route to Borrego from north county San Diego is up the 15, skirting Palomar Mtn on the 76 and up the 79. The drive one of transition as you leave the coastal desert, pass through orange groves, around the beauty of Pala and Pauma Indian reservations and the high arid landscape flanking the west side of Julian. Early morning is the best time for the drive as the sun starts to burn off the marine layers and clouds blanketing the Palomar range. Yeah, part of the fun is getting there. Having never seen an oasis, I headed toward the park headquarters and made my way to the campground where the trailhead to Palm Canyon Oasis began. Little did I realize that there was an $8 day use fee to park. Lesson learned, next time park at the visitor center and walk the extra mile on a sidewalk with interpretive signs about the area. You can also take a side-path that is full of wildlife. The trail meanders through a canyon with evidence of a catastrophic flash flood that washed away huge palms and displaced massive boulders. 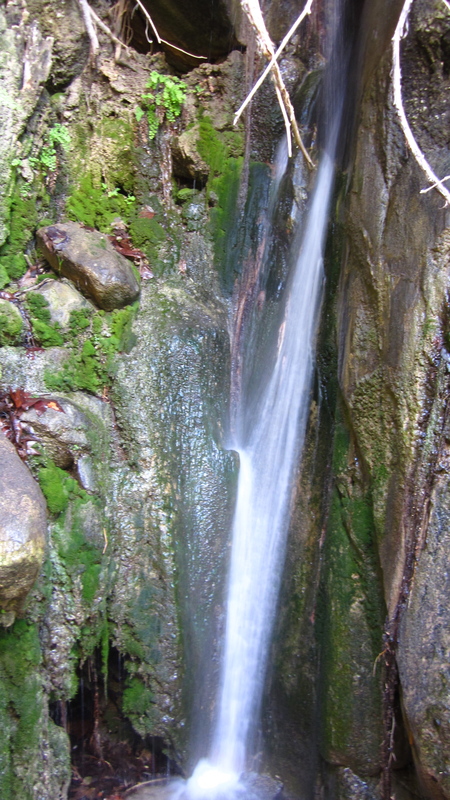 Farther up, trickles of water are the first evidence of the oasis. Soon, the trickle turns into a stream with small cascades. The wildlife is drawn to this area in the morning and after sunset. Frequent this area and you are likely to see small herds of Bighorn Sheep. 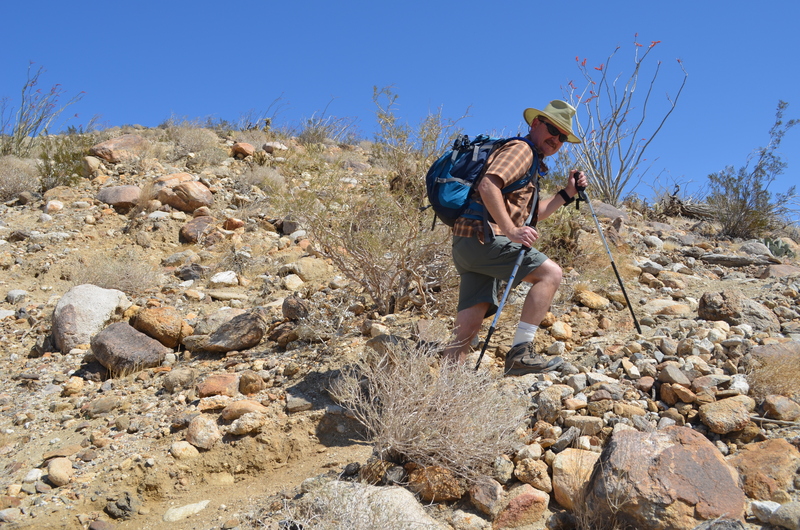 The trail is the most popular in Borrego, so I recommend going during the week if possible. I know, most of you work for a living but Sat/Sun is the busiest time on this one and the number of people just takes away from the experience. Nevertheless, it’s a trip worth taking.